Centrifugal ceiling fans with air capacity up to 320 m³/h. 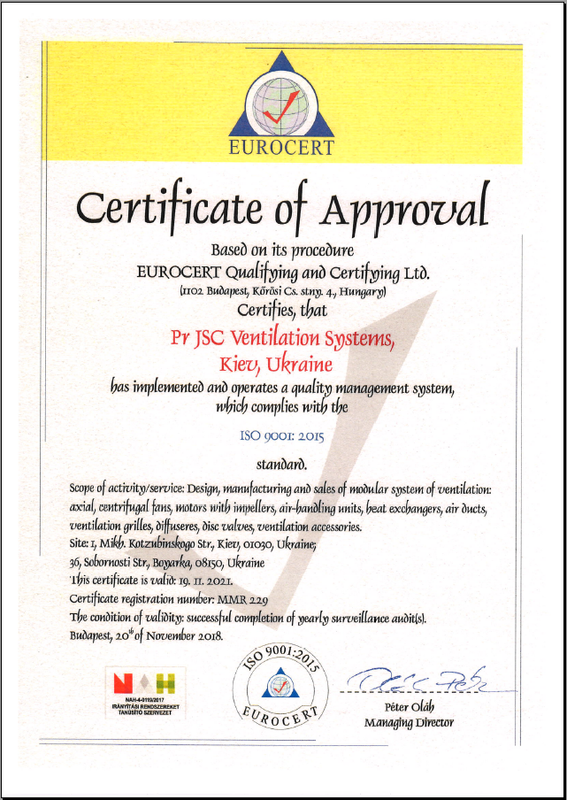 Continuous or periodic exhaust ventilation of bathroom, showers, kitchens and other residential premises. 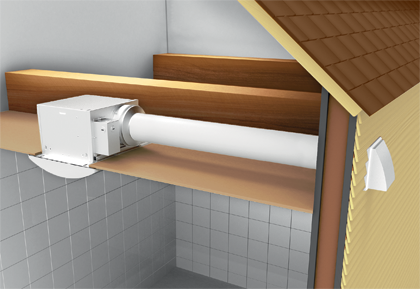 Compatible with Ø100 and 150 mm air ducts. The clip-on plastic grille ensures easy mounting and cleaning of the fan. It boasts modern design and a pleasant look. 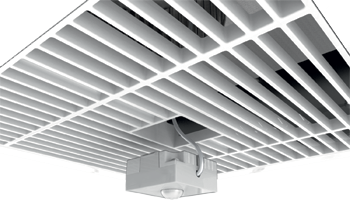 The modular grille design enables easy connection of an optional humidity or motion sensor. The impeller is made of high-quality durable ABS plastic. The centrifugal impeller is equipped with forward curved blades for high pressure and low noise. 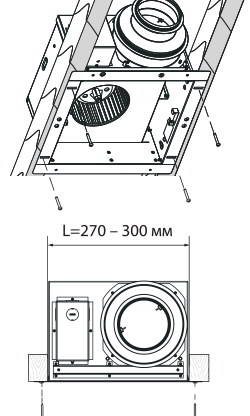 The fan features a gravity backdraft damper. 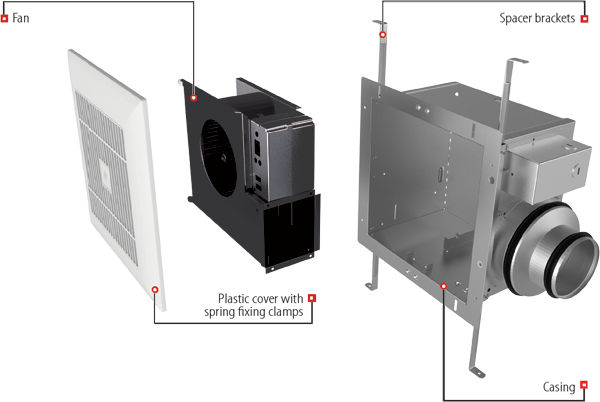 The CBF fan features a reliable asynchronous two-speed motor with overheating protection. Maintenance-free bearings contain enough grease for 40 000 hrs continuous operation. CBF: basic model with a two-speed motor. The CBF T models are equipped with an adjustable turn-off delay timer. A humidity sensor or a motion sensor (available separately) can be optionally connected to this fan modification. The fan is controlled by means of the P2-10 speed switch (available separately). The CBF modification with a timer T: The fan constantly operates in Mode 1. 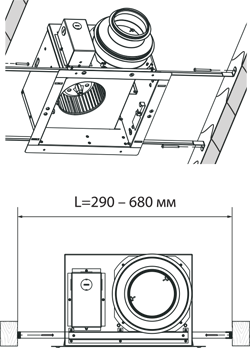 Mode 2 is triggered by the light switch closing. Upon the light switch opening, the built-in turn-off delay timer keeps the fan running in Mode 2 from 2 to 30 minutes. On elapsing of this period the fan reverts to Mode 1. The CBF modification with a timer and an optional humidity sensor TH (available separately): the fan constantly operates in Mode 1. If the indoor humidity level exceeds the sensor threshold value set in the 60- 90 % range, the fan switches to Mode 2. 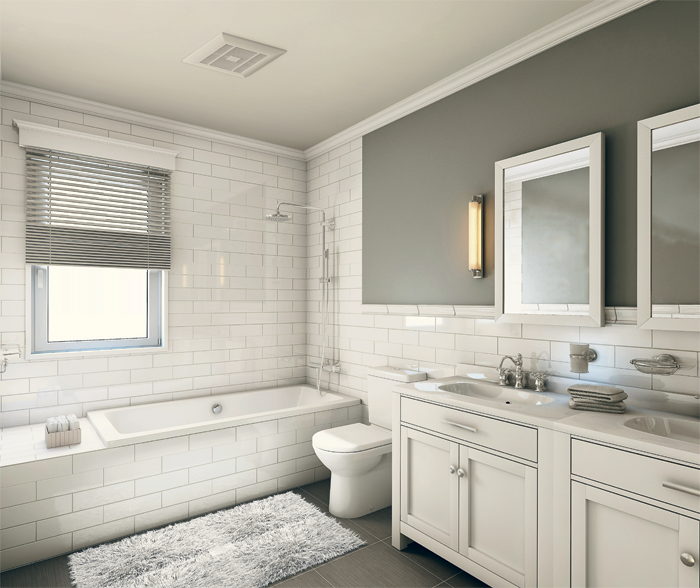 When the humidity level reverts to the pre-set value, the built-in turn-off delay timer keeps the fan running in Mode 2 from 2 to 30 minutes. On elapsing of this period the fan reverts to Mode 1. The CBF modification with a timer and an optional motion sensor TP (available separately): The fan constantly operates in Mode 1. If the motion sensor detects movement within its range, the fan goes to Mode 2. When the movement is no longer detected, the built-in turn-off delay timer keeps the fan running in Mode 2 from 2 to 30 minutes. On elapsing of this period the fan reverts to Mode 1. The fan is designed for ceiling mounting. 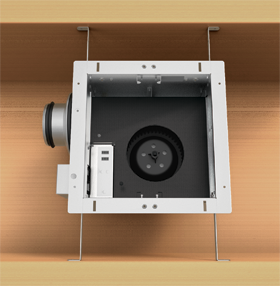 The fan is attached to the ceiling joists with spacer brackets and self-tapping screws. 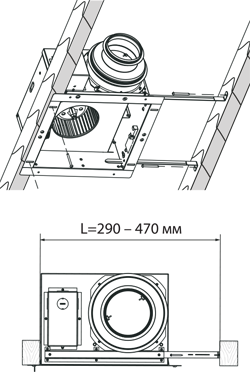 The flexible air duct is connected to the fan exhaust flange through a clamp.